‘If I had been a survivor from the Nazi Holocaust in Europe after 1945, I would probably have supported the proposition of Israel becoming a limited nuclear power so that the world would know that the ethnic cleansing of millions of Jews could never happen again’. However, the vast majority of today’s five million American Jews are not Holocaust survivors and have no direct connection to them. Many Americans have never been to Europe and do not even know precisely where London is, never mind Berlin. However, a very substantial minority have succumbed to political pressure to indiscriminately support the Zionist lobby in the U.S. that acts as an agent for a foreign, nuclear power within the United States Congress. AIPAC (formerly the American Zionist Committee) is a high-powered, multi-financed, multi-faceted, political pressure group working exclusively in the interests of six million Israelis and NOT for the welfare or benefit of 320 million Americans. It not only influences US legislation but raises massive sums of money in order to ensure that the House of Representatives and the Senate are both populated by members who support AIPAC’s political and economic agenda as a priority over that of the United States of America. Israel works for Israel and ensures that America does likewise. Furthermore, it also lobbies for American troops to be deployed to fight for the Israeli state against any threat. However, there is an increasing contention, nationally, that believes that AIPAC’s influence and power over the U.S. Congress are wholly disproportionate; are contrary to democratic governance and need to be either prohibited or heavily regulated by law. 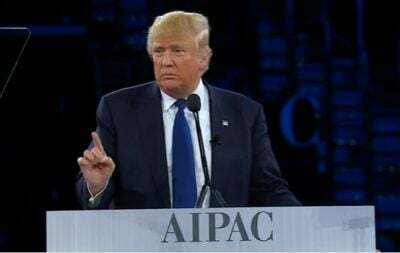 The first step would appear to be for the current President to have AIPAC designated as an ‘agent for a foreign power’ and, as such, be prohibited from having any influence on the selection, or election, of members of the United States legislature. In this context, it must be kept in mind that the State of Israel is the only undeclared nuclear weapons entity in the world, with an estimated secret arsenal of up to 400 nuclear warheads – all of which are outside the inspection of the International Atomic Energy Agency (IAEA) of the United Nations, which makes it, arguably, the greatest potential threat to global peace in the history of mankind. To which must be added the fact that Israel is one of the only UN member states to refuse to be a party to the Chemical Weapons Convention (CWC) or the Biological Weapons Convention (BWC). That means that there could well be another holocaust, but one that could wipe out not just six million of an ethnic minority, but six billion of all of us – from London to Los Angeles; from Beirut to Beijing and everyone in between. That is the horrific, factual position today, in 2017. The most valuable legacy that any American President could leave would be to make foreign influence over the U.S. Congress both unconstitutional and illegal. An undeclared nuclear Israel, outside the inspection of the IAEA is a grave enough global problem without it being armed and funded by a lobby-controlled Congress that has no mandate, from the people it was elected to represent, to surrender power and law to an unelected minority acting for a foreign state. That is proving to be a direct driver of antisemitism.